Across Surrey and all of its towns many clients rely on TW Tree Stumps Removal to take care of all their needs when it comes to tree care. The company are based in Camberely but their fleet travel across the county deliver a wide range of services including stump grinding, tree felling and general tree care services. The company have a great reputation for providing stump removal in Woking as well as the surrounding settlements that include Knaphill, Mayford and Sheerwater. Tree stumps are the ground out from beneath the surface, this leaves an area flat and free for new plants or the planting of grass. This area can also be built upon or turfed. The saws in the stump grinders cut through the stump creating small chips, then the roots are removed which will stop the possibility of regrowth. 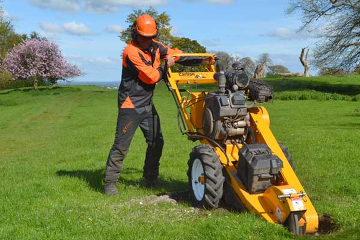 The company provides a plethora of different machines dependant on the types of tree stump removal across Woking and the nearby areas. The machines can access almost any premises, with stairs, gates and disabled ramps not causing a problem. The company specialises in the removal of tree stumps but also provides a wide range of other services. Whether its a tree you need felling in Surrey or garden clearance in Woking they can help. The reputation of the company is a well established amongst commercial companies, being able to help large property owners and woodland owners. The service is ideal for gold courses, construction companies and landscapers that may need bulk work or contracts. Large lands often contain many trees so once removed this service will become essential. Whether you’re a commercial land owner looking for the removal of a tree stump or a home owner looking for tree care related services then just email info@treestumpsremoval.co.uk for a no obligation quotation.